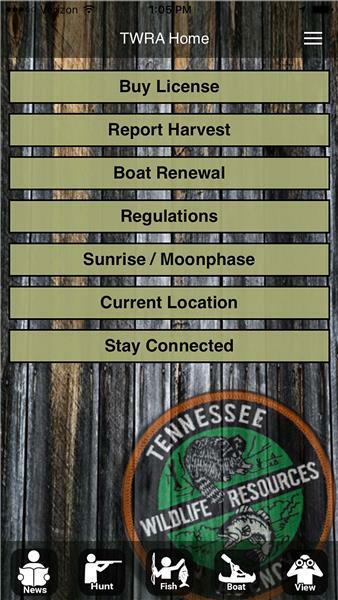 For nearly a quarter-million users of the Tennessee Wildlife Resources Agency’s ‘On The Go 2.0’ smartphone app, finding a place in Tennessee to hunt, fish, boat, and view wildlife has become easier than ever. “We have put a lot of time into improving our app and we are happy to announce it is now available and free to all who enjoy our outdoors and want to learn more,” said Michael May, a TWRA assistant director. “If you want to find a boat ramp, public land to hunt on, a convenient way to check-in big game, places where you can view birds and other wildlife, or keep up with news that pertains to the outdoors, this updated version of our app offers unlimited sources of information,” said May. The upgrade is easier to navigate. 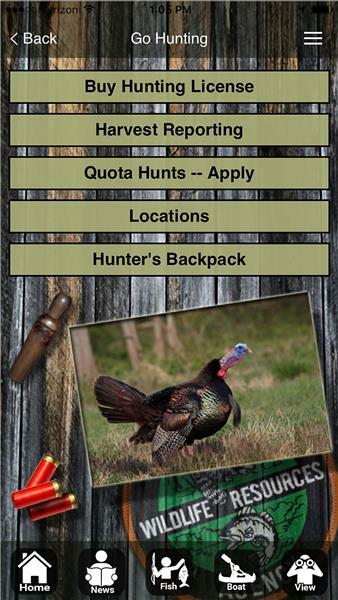 Users can buy licenses, check big game while afield, view interactive maps, apply for quota hunts, and visit the TWRA website. One new feature includes a “Stay Connected Page.” It provides easy access to TWRA’s social media, Tennessee WildCast podcast, newsroom, outdoors and event calendar, and more. 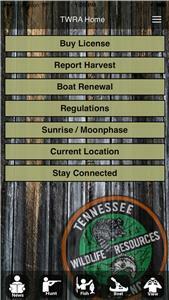 Smartphone users should visit TWRA’s website to install the app at www.tnwildlife.org. If the current version is already installed, Apple users can easily upgrade via their app, while Android users will need to uninstall their current app before uploading the new one. Hunters will have the opportunity to report big game harvests while in the field. There is also an interactive map to find TWRA wildlife management areas (WMAs), physical check station locations, and duck blind locations. 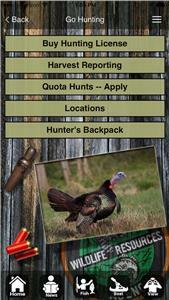 Another special feature is the “Hunter’s Backpack” where hunter education courses, a summary of hunting seasons, and full versions of the agency hunting guides are available. For anglers, “Fisherman’s Tacklebox” includes, fish identification, interactive maps to find boat ramp and fish access information, fish attractor locations, trout stocking locations, and trout stocking schedules. On the app’s boating page, the “Boating Locker” includes boat regulations, safety checklists, boating education information, navigational aids, and recommended boating equipment. For wildlife watchers, there is information about where to view watchable wildlife across the state.